Although working in retail doesn’t always have the same kudos or glamour associated with industries like law, medicine or fashion, there are plenty of excellent career opportunities available. The wide variety of retail jobs is not simply about the vastly different retail outlets, but also the range of roles. If you think of the high street pound shop compared to an exclusive boutique, you have two very different environments, even though the sales assistants are essentially doing the same job. There are so many behind-the-scenes jobs in the retail industry that it can be difficult to look beyond the public facing roles and see the extensive opportunities. Look at the following job descriptions to open your eyes to three possible retail jobs that might suit you. Working as a retail buyer is a hugely responsible role. It is up to you (usually as part of a team) to research the upcoming season’s fashion and negotiate with manufacturers and designers to get the right amount of the right product into the stores. If you decide that pink puffa jackets are going to be all the rage next winter and then no one buys them, it will be your neck on the line. Of course, you don’t just have to come up with these ideas out of thin air – a retail buyer attends relevant fashion shows, trade exhibitions and industry events in order to stay one step ahead of their store’s buying public. Most buyers are graduates of some sort of retail or management degree, with starting salaries of around £20,000, although it is possible to work your way up through working on the shop floor. This is more likely in a smaller organisation, though, as department stores and large chains tend to have more structured graduate training schemes in place for their buyers. Retail designers – working on the actual store design. Space planners – using computer programmes to work out what fixtures and fittings can fit into the store in an optimum manner. Window dressers – also known as visual merchandisers, responsible for the presentation of the window displays. This is a particularly coveted role in the major department stores. A merchandiser needs to be very creative, as product display is a large element in the store’s reputation and has a major impact on sales, so much of the stores success depends on how well the merchandise is presented. There are a growing number of relevant training and further education courses available, although this is not necessary in many organisations, as long as you can illustrate your creative skills and understanding of the commercial retail environment. Starting salaries are around £18,000, although high profile stores can pay considerably more if your work is well received. While supply chain logistics may not be the most glamorous part of retail, it is certainly one of the most important. It relates to the management and delivery of retail products to the right stores at the right time, as well as obtaining the products from their manufacturers. Now that a great deal of retail merchandise is produced in low-cost countries, the supply chain logistics involves an even greater degree of organisation to include the added transportation issues. Consequently, the roles involved in supply chain logistics, including management, administrative and financial, can often be well paid and stressful. Starting salaries vary a great deal depending on the organisation and while relevant degrees are not common, most senior logistics employees have gained a degree in subjects such as business management or retail management. 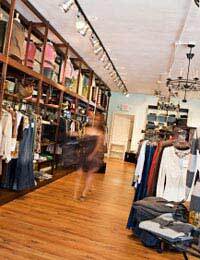 Thinking of moving into retail management? You'll find a detailed description of the type of skills and qualities that are required, as well as the salary expectations of this role in our feature A Career In Retail Management. The 360 Feedback always use of this system as tool for performance appraisal is commonly practiced, however; it may not be a good idea.